This article is a review and response to the Australia Institute’s March 2014 research report Grow Your Own. The report, by Poppy Wise, was about food production in Australian home and community gardens. IF YOU WANT TO FEEL what industrialised shopping is like, just walk the aisles of any of those dolled-up warehouses we know as supermarkets. And while you’re doing that, just think about how the Coles/Woolworths — ‘Colesworth’ if you prefer — duopoly controls 70 to 80 percent of the national food and grocery market. That dominance has a profound influence on what Australians eat. What the duopoly stocks defines what food is for people. The convenience of shopping in the supermarket offers a clue as to why suburban home gardens ceased to be significant places of food production in Australia. That’s the claim of findings published in 2014 by the research and advocacy organisation, the Australia Institute. The research, curiously published under the druggy-sounding name of Grow Your Own (an old slogan of those who like the odd puff of marijuana), was based on a literature review, a survey of 1,390 households and interviews with experts and community gardeners. The community gardeners were those at Woolloomooloo Community Garden in central Sydney. What’s best: a question of productivity or a count of growers? The report claims that 52 percent of Australian households grow some of their food, however it does not say what quantities of food are grown or what portion of a householders food supply is home-produced. You cannot grow all that you eat in an urban backyard and the amount of food produced varies wildly. The people in my neighbouring apartment block, for instance, have a tiny raised vegetable garden down the backyard that is used at times, then let go. The garden on the other side features a mango, citrus, avocado and pawpaw tree buy no vegetables or herbs. My own apartment block grows some vegetables and herbs, has a cumquat, pawpaw and babaco and plans to plant more fruit trees, however the bulk of the resident’s food supply comes from the shops or, in my case, from a community supported agriculture scheme. Even when in full production the gardens produce only a little of what the residents eat. Yet, these three gardens would qualify to being among that 52 percent of home food growers counted by the Australia Institute research. That’s a head count approach and it is useful in that it discloses the large number of people engaging with home or community food production. More useful might have been an estimate of the diversity and quantity of food grown, though doing that is a more ambitious, more detailed and time consuming task. Data on food production in home and community gardens is scarce and what we do have is anecdotal, an estimate based on participant observation. Among the few figures available I described in an article written quite some years ago — Australian Backyards Productive Places — that reported backyard food production figures collected by the Australian Bureau of Statistics (ABS) during the 1991 census. The ABS figures showed that there was a diversity and significant quantity of produce coming from our suburbs. Despite observational and anecdotal evidence suggesting an increase in home and community garden food production, the Australia Institute survey reports that the numbers remain consistent with those reported in the ABS survey I mention above and that was published in 1992 as Home Production of Selected Foodstuffs. The Institute also made use of its own 2009 report into food waste (pdf download) in compiling its estimate. The increased number of community food gardens documented by the Australian City Farms & Community Gardens Network, the observation by Network consultants and educators and observational evidence of home gardening advocates seemingly sits at odds with the Australia Institute findings that the number of people growing some of what they eat remains consistent with the ABS figures of 25 years ago. Somehow, that just doesn’t add up. Creating a unified community food movement- how likely? The Institute’s report recognises that for that past 30 or so years there has been a countercurrent in personal food choices thanks in part to a growing interest among Australians in the quality, provenance and freshness of food, and an increasing demand for food that is locally produced and seasonal. This is reflected in the increasing number of farmers’ markets, community gardens and organic food home delivery services, but at what stage does this become a self-conscious community food movement with educational and advocacy capability? …it becomes evident that there really is a social movement around food and the production, distribution, consumption, health and policy issues around it. It may not yet be self-conscious as a political entity but it is moving in that direction. Research completed in 2015 yet to be publicly released confirms that a community food movement does exist but that it is fractured into particular foci such as community gardening, home gardening and the like. Its parts are loosely linked but there is no unifying idea that would turn it into a closely-coupled network inclusive of its diverse enterprises. It has been suggested by some within the movement that its diversity works against its becoming closely-coupled. The enterprises within it are too different to inspire a sense of commonality, it is said, being a mix of those of the voluntary community sector, social enterprise and for-profit small business. Some of the food advocacy groups active within the incipient community food movement have a focus on food security — the year-round availability for all of quality food at an affordable price. The Institute’s research disclosed that food security is not a major issue for Australians, citing as 16 percent the number of Australians reporting some form of food insecurity such as not knowing where their week’s meals are to come from. Home and community gardening supplements the family food supply and to a limited degree exercises some control over the food people choose. 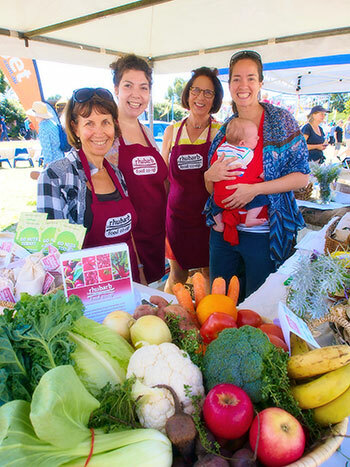 Food security-focused lobbies like the Sydney Food Fairness Alliance, which includes nutrition education and community workers among its members, has attributed food insecurity to poverty. Yet, if such a large portion of the Australian population is so food insecure, it is difficult to reconcile that with the Australia Institute’s claim that food security is not such a major issue. Not for the food secure, perhaps, but it certainly is for the wellbeing of the nation as a whole. Sixteen percent of people not knowing where next week’s meals will come from sounds like a lot of people. 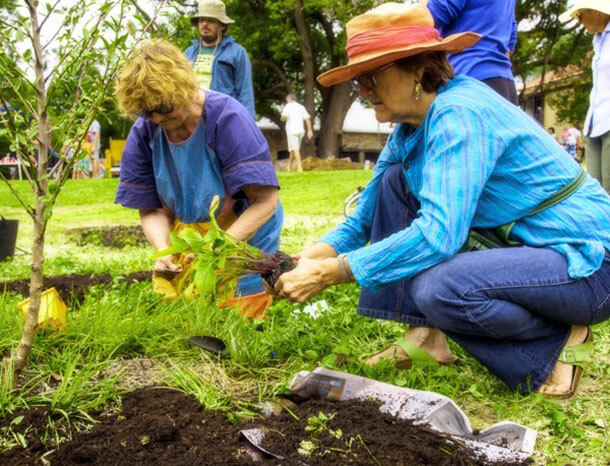 The Institute reports that Australian food gardeners are driven not by food insecurity but by health, financial concerns and taste. My work in community garden development and policy, and food gardening education, leads me to agree with this claim. I would add that it is the social interaction that comes with community gardening that is another driver of that part of the community food movement. The research indicates that 91 percent of respondents “slightly agree or strongly agree” that growing their own food saves them money, “making domestic food production a substantial policy opportunity for those concerned with the cost of living”. I have no argument with this, however in my work I have not found financial need to be a driver of home or community garden food production. People talk about how those practices reduce their expenditure on food but not that they depend on it as a money-saving activity. I don’t imply that this is never the case as growing your own can defray financial concerns if a sufficient quantity of a diversity of foods are produced. Maybe the researcher and I have mixed with different gardeners. It would have been good to learn more about the researcher’s ideas on “making domestic food production a substantial policy opportunity for those concerned with the cost of living”. The researcher’s finding that 48 percent of households with children 11 and under “report they grow food to spend time with their kids, compared to 29 percent of households with children aged 12-17 and seven percent of households with adult children” rings true. 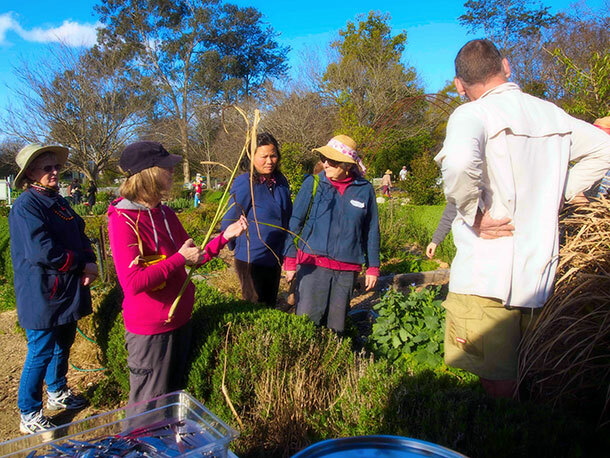 There is something in gardening that many children find attractive and I have seen this at Randwick Council’s Permabee community gardening days and its Eco Heroes Club for 5 to 11 year olds in its Permaculture Interpretive Garden. The Australia Institute’s research demonstrates that temperate climates may be the more conducive to home and community food production. South Australian, Tasmanian and Victorian households were more likely to grow some of their own food (59 percent, 59 percent and 57 percent respectively, according to the research), while those in the Northern Territory are the least likely. It was the same geographic spread when it came to fruit growing. The report found that the extra space available to rural households and their experience in working the land led to greater participation in home food production (55 percent for rural households compared to 48 percent for metropolitan). Australia’s is largely an urban population and within its suburbs there is a strong demand to learn how to grow even a little of the food a family eats. Confirming the churn in community garden membership reported in the research was the finding that 57 percent of households growing their own food have been doing so for five years or less. When it comes to community growing, I see this as being linked to the turnover in rental accommodation in the more densely populated areas of our cities, an observation supported by others working in the field. Changing domestic circumstances, especially with young children, and work and study demands also contribute to the churn in participation. Confirming another observation was the finding that home and community food production spans the age range. “Despite the stereotype of retirees and older gardeners spending long hours in the garden, there was little or no evidence of older gardeners spending more time on home or community garden food production”, the researcher reported. Not just retirees… home and community food production attracts a range of age groups. This is another finding in the report. The retiree myth was dealt with in the research, however the idea of home food production being the province of immigrants has had some currency although I now find it mentioned less. I think the myth came about with the arrival of immigrants from the Mediterranean region who settled the inner urban areas of our cities in the 1950s and 1960s. There, they turned the small, lawn-infested and paved backyards into sometimes diverse and very productive urban mini-farmlets that supplied a large amount of food to the families. The myth ignored the fact that home food gardening had been a traditional Australian practice for decades, but that how-to knowledge and the practice of it declined with the rise of post-World War Two affluence and with the supermarket becoming the household larder, as permaculture educator, David Holmgren, puts it. These developments started to gain impetus at the same time that those migrants started buying up those inner urban homes. As for affluent ‘greens’, whatever numbers they constitute is buried in the great social diversity that is community and home gardening. Here the research does not say what constitutes being an ‘affluent green’. Is it people supporting the Australian Greens political party? Is it members and supporters of environmental lobbies and groups? Is it people sharing the widespread desire for a better environment? Is it something of a generalisation and stereotyping by the researchers? Hold on. It is with groups such as those mentioned that social change starts, according to Everett Rogers’ Ideas Diffusion model. From there, from that social edge, if ideas have utility they move over time into the early then the later mainstream adopters and become an established practice in society. Much as organic gardening did. Rather than remaining as a practice on the social fringe as the research suggests, the idea of local food production, urban agriculture and food sovereignty is already flowing into that early adopter cohort and has been for some years. The existence of business and an industry catering to home food production, to the Australian City Farms & Community Gardens Network’s success in having community gardening seen as a valid urban landuse along with local government policy to enable it, and the popularity of farmers’ markets as a direct marketing opportunity for small, urban fringe farmers suggests that those ideas are well on their way into the social mainstream. As well as home an community gardening, food distribution systems like Rhubarb Food Co-op, pictured here at the Randwick Ecoliving Fair, are an extension of the evident community desire to control the food people eat. The Australia Institute found that the common type of food producing garden to be the front or back yard, with 74 percent of food gardeners using these private spaces. Twelve percent were found to be growing food on balcony or in container gardens, a figure that makes sense when you consider the popularity of home food growing in the denser, inner urban areas of our cities. What I found surprising was that 13 percent of food growers produce in footpath gardens. This practice, while facilitated by some local governments like the City of Sydney, is currently a contested area. Some councils, such as Randwick in Sydney, have ordered the removal of footpath food gardens although people continue to make such gardens without council permission. It is the same in other local government areas. Only one percent of food gardeners surveyed produced their food in a community garden. While community gardening remains less popular than growing food at home, “the Australian City Farms and Community Gardens Network listed in 2010 at least 212 community gardens in existence, and there are hundreds of edible school gardens in place.” That has since grown to around 600, something those in the Network consider a conservative count. This does not bode well for expanding the number of community gardens, yet, despite this finding, the number of community gardens has grown significantly over recent years. One point I agree with is the finding that opposition to giving public land to community gardening reflects increasing population numbers and planning issues in our cities. I have seen this during local government public consultations about proposed community gardens. The availability of public open space is exceeded by the various demands for using it. I have experienced opposition to allocating land to community gardening in my work in local government and see this less as an expression of dislike for community gardening and more a reaction to the scarcity of public open space in some urban areas. Multiple-use open space design is providing a solution to some degree as community gardening can be provided for as well as other recreational opportunities. These relatively weaker levels of support for local food production when they involve public spaces may, as suggested, reflect planning issues in increasingly crowded cities and are a potential barrier to developing strong support for community food production. I believe the researcher got it right when she reported it is lack of space, lack of time and lack of knowledge that are the barriers to home gardening. Space is a driver of the recent upsurge in popularity of container gardening on apartment balconies and, sometimes, on roofs that are flat and strong enough. That Randwick Council’s community resilience educator offers short courses in balcony gardening and has installed a balcony-scaled, demonstration aquaponic (combined vegetable and table fish) system in council’s Permaculture Interpretive Garden attests to the demand for know-how in balcony gardening in higher density areas. The research reports ABS figures claiming that only 11 percent of Australia’s 8.4 million private households are flats, apartments or units — the types of accommodation unlikely to offer space for on-site food production. At the same time it this type of accommodation that account for much of the housing development now taking place in our cities. Sydney’s Signature Apartments, with its residents container food production garden, and other rooftop gardens in Sydney’s inner urban area demonstrates that even apartment blocks can produce some of what their residents eat. Time, though, is the big barrier. That has been confirmed for me over the years of assisting with a council organic gardening course. Work and family pressures, especially where there are young children, combine with the need for relaxation and socialisation to compete with time for food gardening. 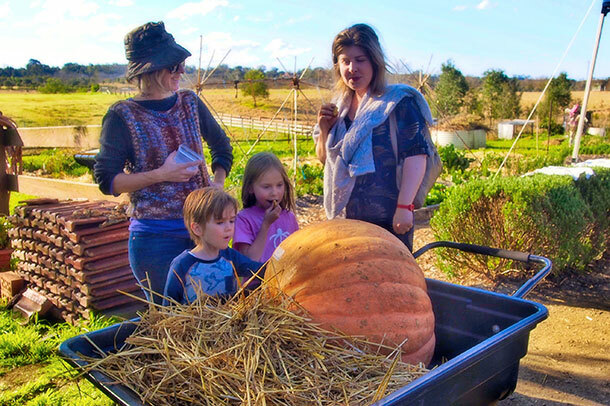 For families concerned about getting good, clean food produced by farmers in the region, the weekly, seasonal food box delivered by a community supported agriculture scheme like Sydney’s Ooooby, Melbourne’s CERES Good Food or Brisbane Food Connect is a solution. The research is right in warning that “instilling lasting interest and commitment to local food production” is the key to perpetuating the benefits of introducing young students to food gardening in the now-large number of schools with such gardens. Anecdotal evidence suggests the existence of a flow-on effect from child to parents when it comes to messages about food stemming from school food gardens. The challenge is to perpetuate this through the high school years in a learning environment subject to great pressure. All are benefits known to community garden educators and advocates. This is an interesting finding in the report because local government sustainability educators have given support to community and home gardening because it diverts green wastes, including food and garden wastes, from landfill to compost. Sydney’s three Eastern Suburbs councils offered a long-running and successful Compost Revolution program that educated many in green waste reduction through composting. 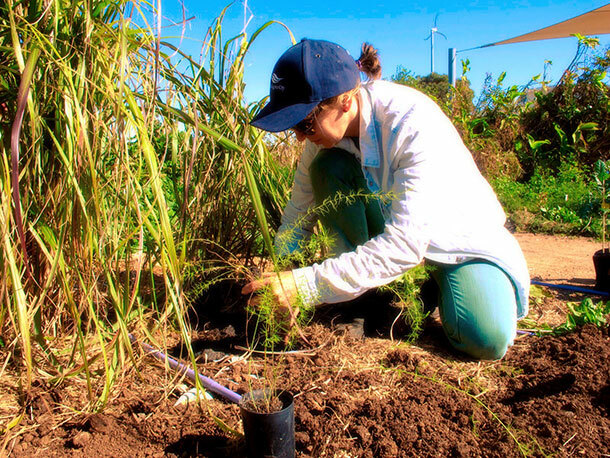 Sydney’s Marrickville Council has a staff position that measures compost production in community gardens, providing an estimate of waste-to-resource conversion. A visit to different community gardens to ask about waste reduction would have disclosed a range of composting systems turning garden and food waste into composted garden fertiliser. Composting is a feature of all community gardens that I have visited. Then, there’s the reduction in water wastage through the widespread practice of mulching, harvesting rainwater for irrigation and water-conserving irrigation. The report goes on to say that: “Nearly half of all food gardening households strongly agree that growing their own food has encouraged them to waste less food (45 percent), use most of their food scraps on their garden (48 percent) and be more inclined to buy locally produced food (46 percent). It is hard to reconcile this with the comment that it was difficult to attribute behaviour such as waste reduction to food production. In all surveys, the answers you get depends the questions you ask, how you structure them with the language and the tone you ask them with. With community gardening, it also depends on where you ask those questions as community gardens are not evenly distributed and, so, you find areas with several gardens in proximity and others with a complete deficit of community gardens. Ask about them in those different places and you will end up with different responses to your questions. The Australia Institute report is a useful addition to the limited volume of research into urban agriculture in Australia. Much of what it says confirms what community food advocates and educators have known for some years. Some findings, however, don’t ring quite true with observational and anecdotal experience. The Community Food Movement: Food security — whose responsibility?